Located in southern Tibet, Lake YangDroYong is at an elevation of 4,441 meters, and covers 648 square kilometers. It is regarded, by Tibetans, as one of the three sacred lakes in Tibet. 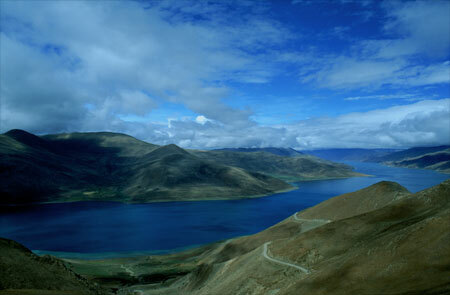 There is also estimated 100 to 150 million kg of plateau fish in the lake, "the fish bank of Tibet".